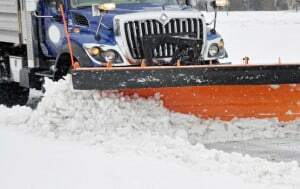 Commercial and Residential Snow Removal Services in the greater Concord, New Hampshire area. We strive to provide efficient and reliable snow removal and ice control services at affordable rates. As we adapt to ever changing weather conditions, safety is our main concern. We customize snow removal with a wide array of equipment to safely and efficiently remove snow from each property. From Skid Steers to Dump Trucks, we can manage any size property. We also offer additional Winter Services to both Residential and Commercial properties in the Concord area. Maintaining a professionally trained staff year-round allows us to achieve a superior level of excellence and service. TopNotch guarantees that personnel will work around the clock, 7 days a week to meet and exceed all your snow removal needs. Salt Damage? This happens when way to much salt is used during the winter. Nelson’s Landscaping can fix this damage and make sure it doesn’t happen next year with our snow removal services.